Japan is in a demographic sweet spot. In fact, I predict Japan will emerge as the only advanced economy that achieves the ultimate goal sought by policymakers — a new middle class will rise in Japan over the coming three to five years. How so? Conventional wisdom suggests “demography is destiny.” On that basis, Japan’s economic fortunes appear to be doomed: According to the latest official demographic forecasts, every hour Japan’s population is dropping by about 50 people. As the baby boomer drag accelerates in coming decades, the official prognostications suggests that in about 300 years, fewer than 300 Japanese may be left. So how can we be bullish about Japan? Simply put, demographics is little more than arithmetic and not economics. Economic growth is not determined by population as such, but by the employment opportunities created for the people by entrepreneurs and their companies. China’s population has always been bigger than Japan’s, but the Chinese economy only started growing and creating prosperity when the Communist Party relaxed its grip and allowed citizens to seek better opportunities. National income in general and domestic demand in particular goes up and down depending on how many people have a job and, more importantly, what kind of job they have or can realistically aspire to have. Here, Japan stands out among advanced industrial economies with the demographic forces now working to boost both the quantity and quality of employment. The numbers speak for themselves: Yes, the absolute number of people in the potential workforce — all people between 15 and 65 years old — has been falling by about half a percent over the past few years; but against this, actual employment has been rising steadily at a rate of 1 to 1.5 percent. So the drag from falling absolute population numbers has been more than offset by an increase in the number of people actually participating in employment and economic life. 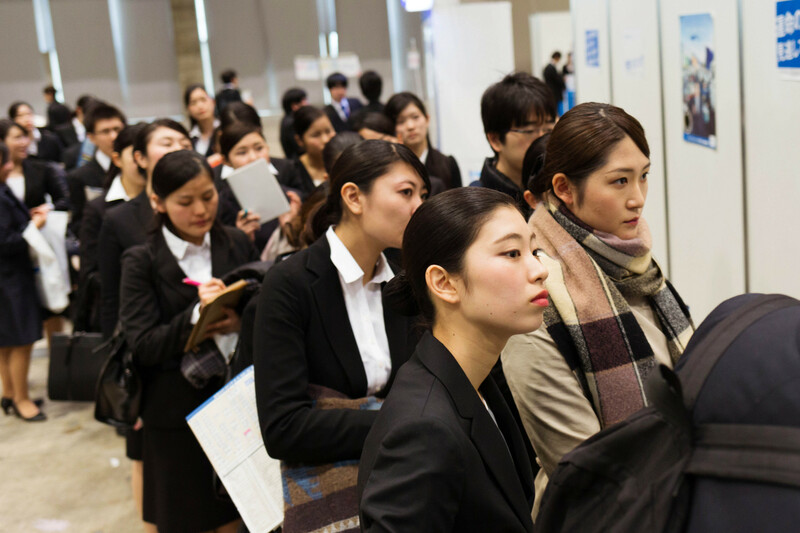 More and more Japanese have come out of unemployment or have re-entered the labor market. Statistically speaking, Japan’s total labor participation rate has risen by more than 2 percentage points over the past couple of years. From here, there is still plenty of upside to sweat Japan’s human capital harder: Although now up to 77 percent, Japan’s total labor participation rate is still 5 percentage points below that of Switzerland’s 83 percent. In terms of quantity, this means almost 3 million people who are 15 to 65 year old are available to enter or re-enter economic life (if Japan moves up toward Swiss-level labor participation rates). Chances are high that they will, because the driver here is the bare-bone economics of demand and supply. As the absolute supply of labor shrinks, companies are offering better terms of employment and higher pay, which in term prompts a positive supply response. People who were not willing to work under the previous conditions are now willing and happy to re-engage with the economy under the new terms. Note that it is not just about higher wages. It is the total package of employment conditions that makes the difference between wanting to take a job or staying at home — job security, career development, work-life balance, etc. The positive change has already started. 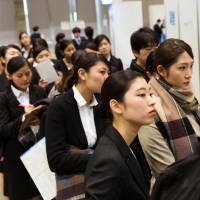 Japanese companies are now creating net full-time jobs. This is a complete reversal from what we saw during the previous 20 years — between 1995 and 2015, Japan Inc. was a net destroyer of full-time jobs, part-time jobs were the only jobs created, which pushed up part-time employment from 20 percent to almost 40 percent of total employment. About two years ago this started to change and so far this year, more than half of all new jobs created are full-time ones. Many leading companies have begun to re-hire part-time employees on a full-time basis. Importantly, Japan’s demographic destiny suggests this is a structural change that is here to stay. The war for talent will only intensify, forcing better and better contract conditions, rising wages and greater job security. This is how those potential 3 million Japanese will be incentivized to re-engage in the economy and why Japan is in a demographic sweet spot. The importance of the change in the quality of job creation — full time rather than part time — cannot be emphasized enough. It’s at the core of any virtuous economic cycle. First of all it directly boosts annual income by as much as 50 percent, not just because of better benefits but primarily because a part-time employee is not eligible for the biannual bonus that full-time employees receive. Secondly, a part-time employee basically has no access to credit, but the moment you become a full-time one, the credit spigot opens up. In fact, I use the consumer finance and mortgage credit data to verify or falsify my thesis: If I’m right and a significant cohort of Japanese people is now getting full-time jobs, the ability and willingness to borrow and buy a home should be rising. So far so good, with mortgage credit growth on a smart uptrend, rising around 3 percent so far this year after the 2 percent increase recorded last year. Of course, there are more positive multiplier effects in which a virtuous labor market cycle feeds a more virtuous and stable society. For example, household formation and marriage rates are now rising again. There is little doubt this is because of more diverse employment practices, better career opportunities and greater certainty of lifetime income stability. But it is not just labor, but also capital that benefits from the potential scarcity of labor. Japan’s corporations are now forced to completely rethink how to employ human capital, how to incentivize workers and managers, how to train and inspire their young and old. Make no mistake — Japan’s demographics are forcing corporate Japan to become a global front-runner in designing the future of work. In my personal view, chances are high that Japanese companies and society will come up with an inspired solution, perhaps something more human, more inclusive and better than the “geek” or “winner-takes-all” models of employment championed by so many American — and Chinese — economists and futurologists. In Japan, the current young generation is poised to be better off than their parents. All said, the economics of Japan’s population dynamics is not a negative force, but a positive one poised to deliver a sustainable uptrend in the purchasing power of the people, a new leverage and credit cycle, as well as a rise in overall productivity. Yes, Japan will sweat her human capital harder, and as a result a new middle class will rise in Japan. Jesper Koll is WisdomTree’s Head of Japan. He has been researching and investing in Japan since 1986 and has been consistently ranked as a top Japan strategist/economist. He has written several books in Japanese and regularly publishes blogs at www.wisdomtree.com/blog .